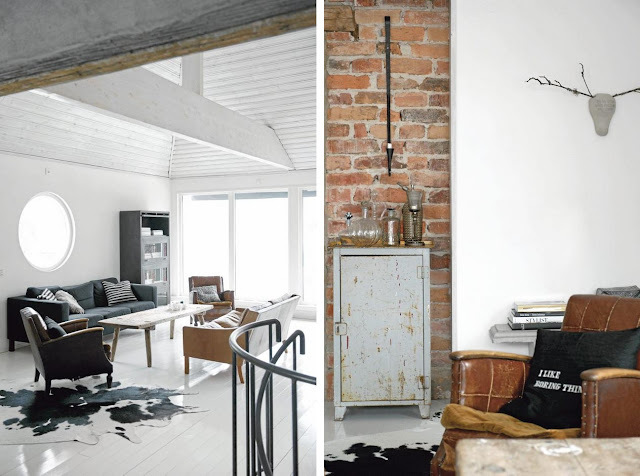 At the risk of this blog becoming saturated in Scandinavian interiors, I give you...another one. This time last year we were in Copenhagen, visiting friends. A trip, that sadly, I never got round to blogging about. Maybe I'll skim through the millions of photographs and cobble something together soon. Maybe, that should go on my ever extending 'new years resolution'/'to do' list! 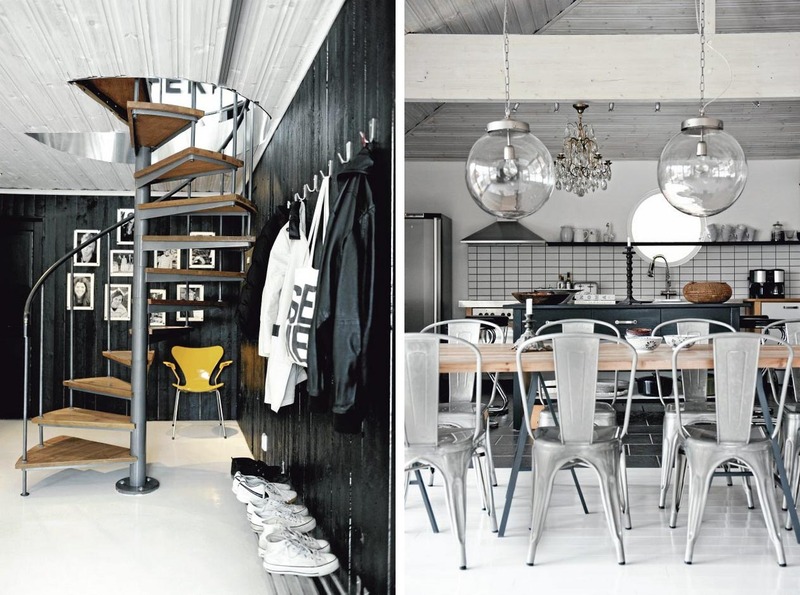 In the meantime check out this black and white home in Falun, Sweden (not Copenhagen). 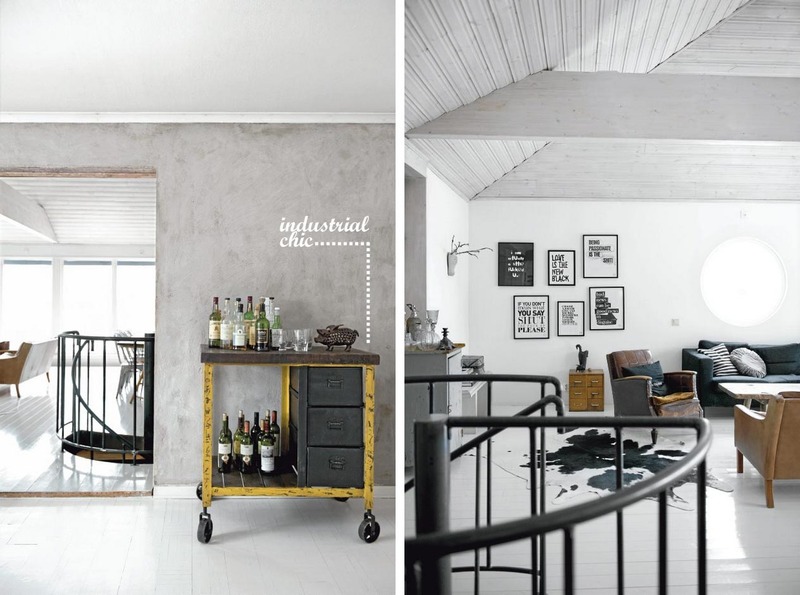 I'd trade my first born* for those globe pendants over the dining table...and the industrial, yellow drinks trolley...well, maybe not but I like them a lot..
*not, in any way, legally binding. Love your blog - going to sign up!